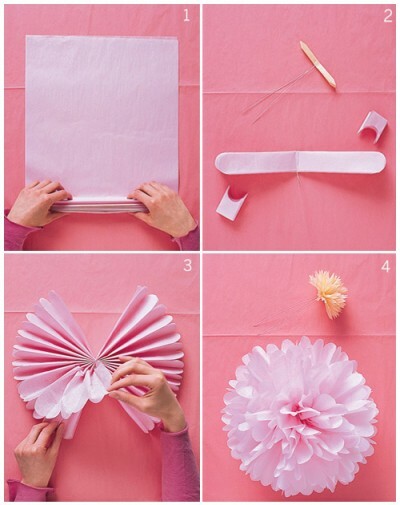 DIY Pom Poms are one of my new favorite crafty trends. Martha Stewart made a tutorial that makes this chic craft look super simple. You will need tissue paper and 24-gauge white cloth-covered floral wire. Ready. Set. Craft off. I have used this one before and it’s a good one! I love these. I used them recently for my grandparents 60th anniversary. So pretty. Can’t wait to try making them myself.